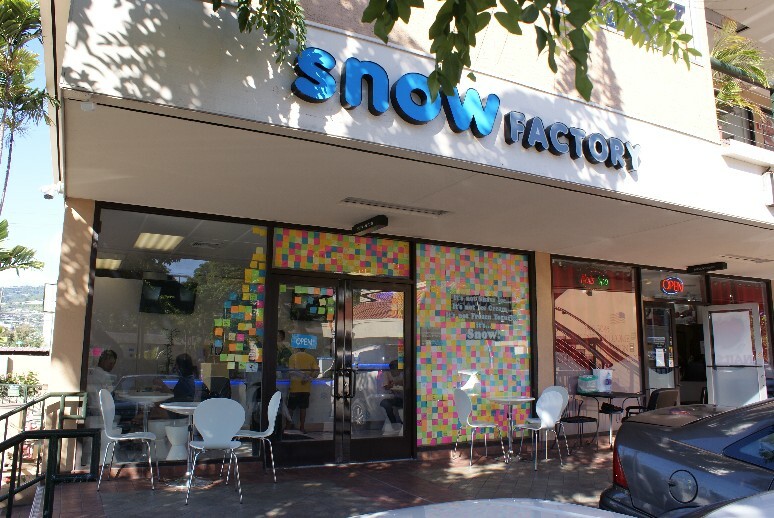 Hubby spent the day with our oldest nephew today and we all went to Snow Factory for a treat at the end of the day. 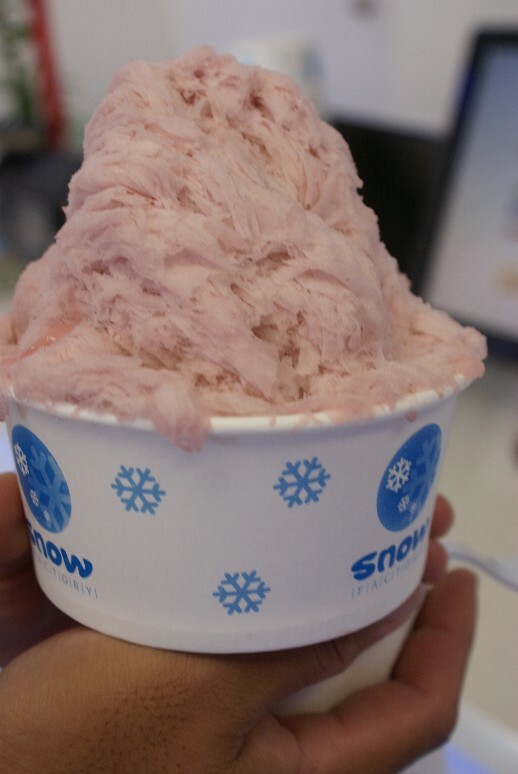 Strawberry and blueberry flavors ($4.25 regular) – if you order the regular size, you can mix up to 2 flavors. Milk flavor ($2.85 small) with toppings. 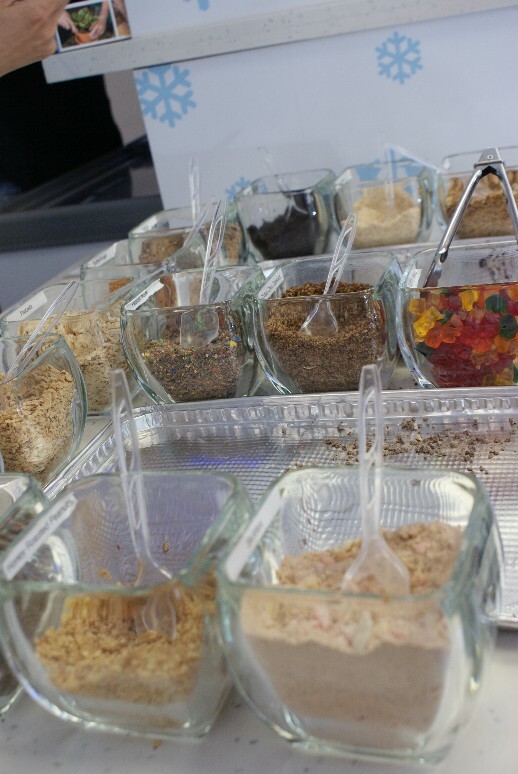 The free toppings (yup, free!) are all crushed into a powder so as not to weigh down the snow. A fun, unique and strangely nostalgic experience. I hadn’t heard about this place! How long has it been around? 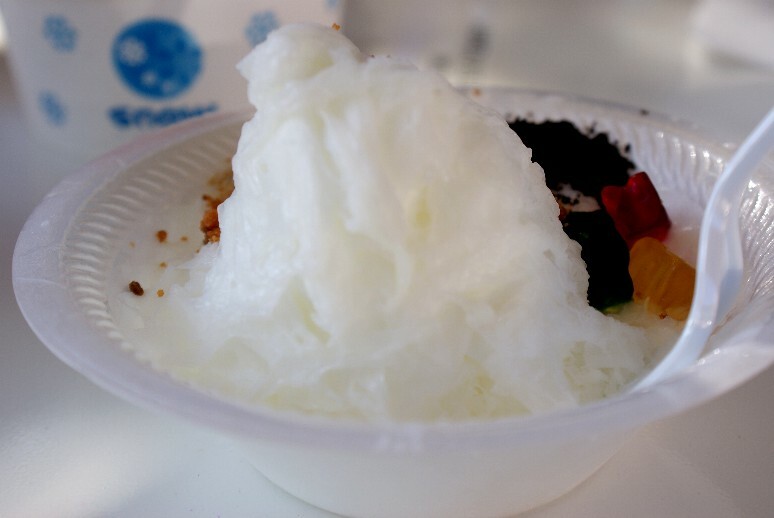 The shave ice looks very unique…and very different than the “normal” shave ice! Looks really good! I’m actually really interested in trying it! And since it’s at McCully Shopping Center, it’s actually really accessible! Thanks for posting about this place! Yes, I read about it on the Midweek I think, and have been wanting to try it for a while. It’s fairly new (a few months) I think. The shape of the ice is just so fascinating to look at… and so many flavors to choose from! Thanks for taking Tai out that day–he said it was the best day ever!!! You totally spoiled him! He keep asking to call Uncle because he wants to show him that he finished MarioKart. He also has a thank you card that we need to mail off to you. 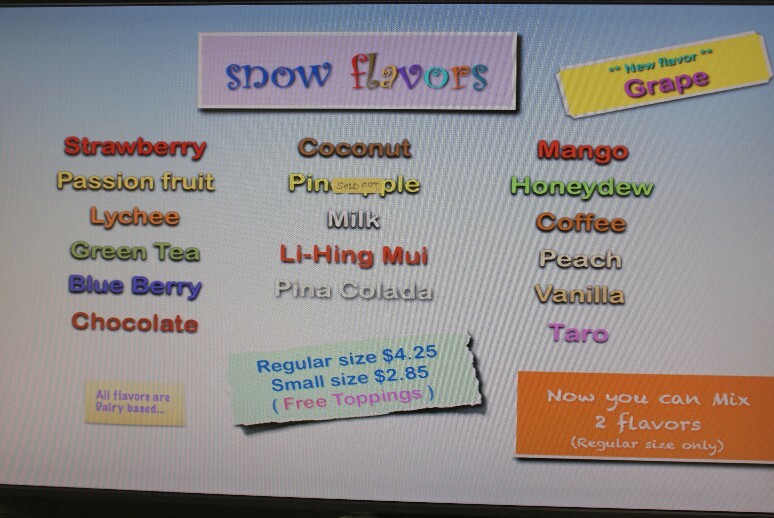 I really want to try this shave ice place–it looks fabulous! We were so sad when Waiola on Kapahulu closed down. Awww… he was so great to hang out with! I think the boys had a blast. Uncle had just as much fun as him.